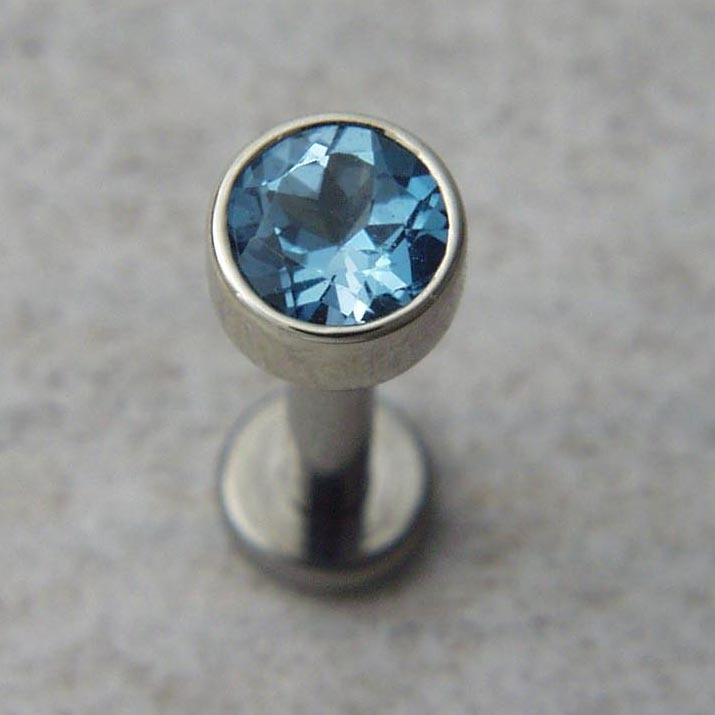 All of our labret ends are internally threaded. All are 14k gold. The post are one piece. 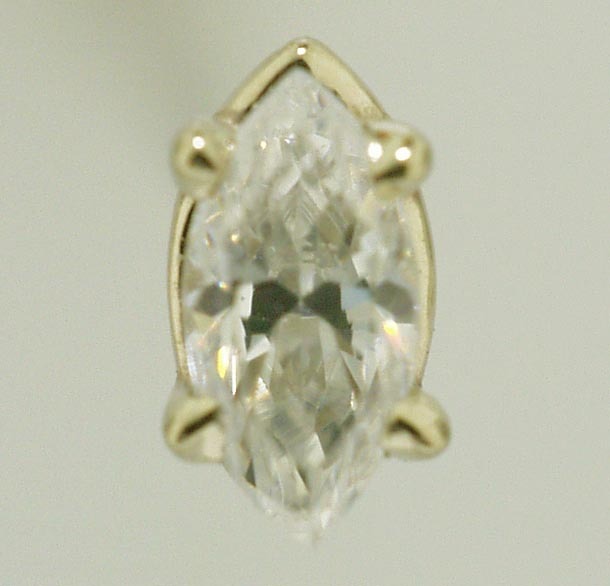 A gem setting that utilizes any number of prongs, or thin armlike projections, to hold the stone in place. 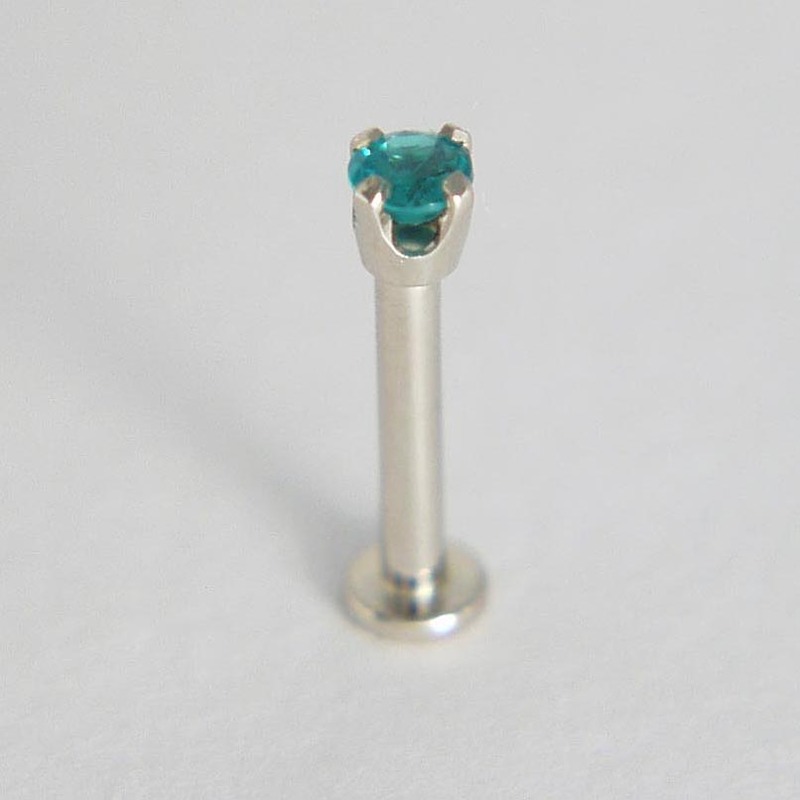 Prong settings are used to help increase the amount of light passing through a faceted gem to increase its sparkle. 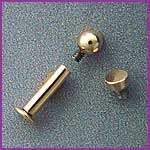 Prong settings are available in 14K Yellow Gold and 14K Palladium White Gold. We carry all sizes if threaded balls, flat disks and rounded domes starting at 1.5 mm and up so we can accommodate your every need. All are solid 14k gold.